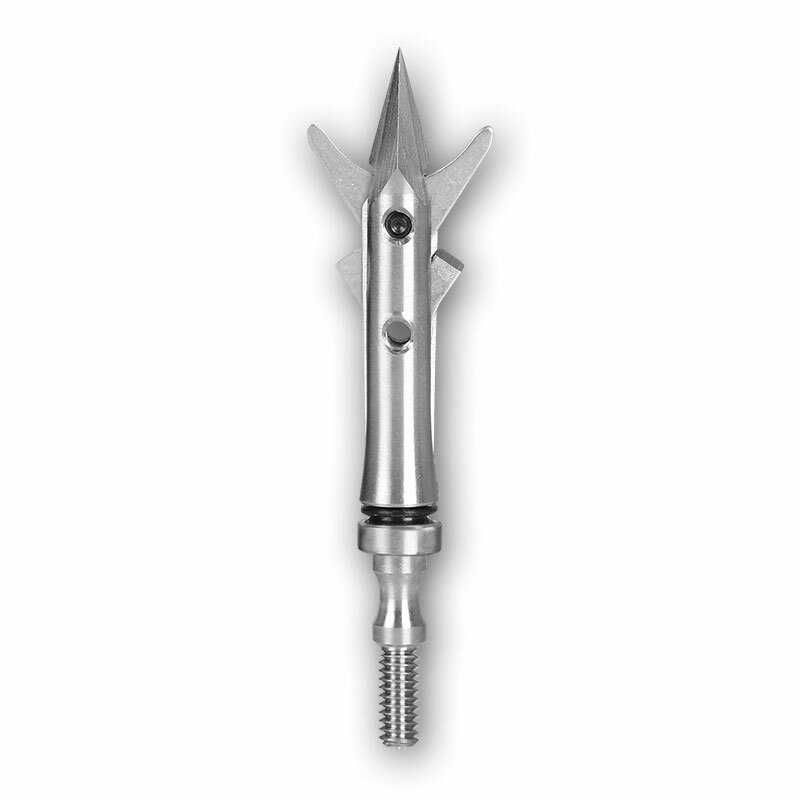 SEVR Broadhead - TITANIUM 2.1"
The SEVR Titanium 2.1 Broadhead is designed as a premium bigger cutting, non-deflecting, deeper penetrating broadhead that hunters could also practice with. Made of the strongest and most precise materials. Suitable for all types of game and ideal for use with even the fastest crossbows and vertical bows. Replacement Blades and Replacement O-Rings are also available. 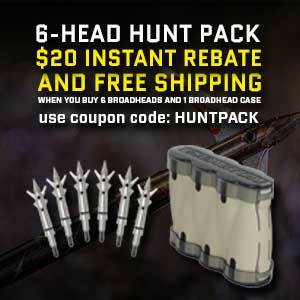 If you qualify for any free broadhead promotions they will be applied at checkout. 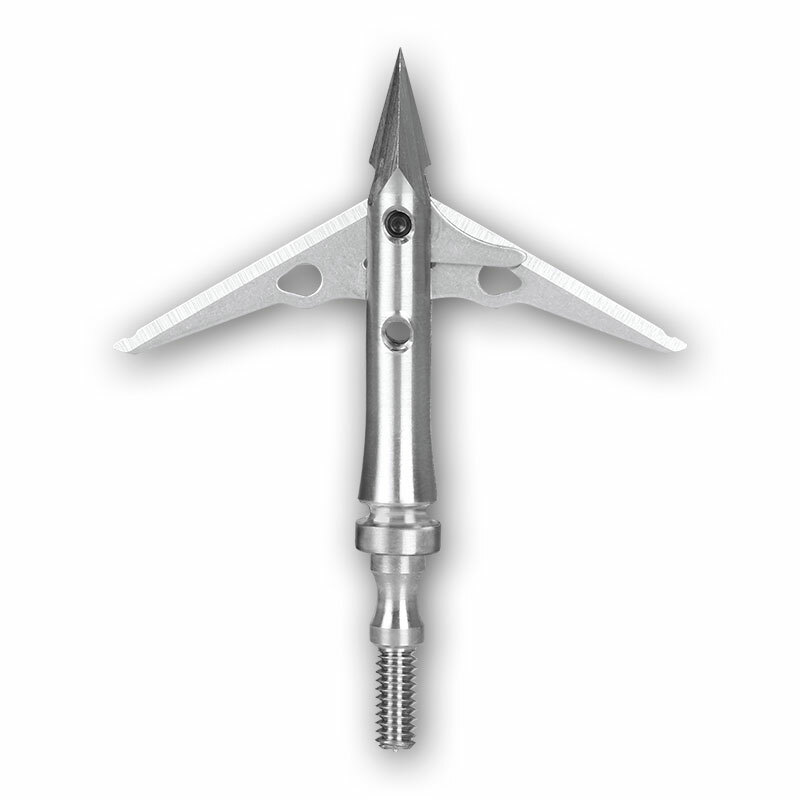 The SEVR™ Titanium 2.1 is a premium, rear-deploy broadhead with exclusive features. 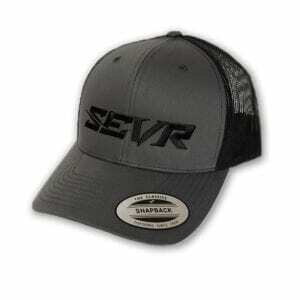 SEVR’s patented Lock-and-Pivot™ non-barbed blades lock open on impact. The blades then pivot as needed to keep arrows driving straight through game even on steep quartering shots and bone impacts. This increases penetration versus regular rear-deploy non-pivoting broadheads. SEVR’s Stretch Cut™ blade effect stretches the hide while cutting for a larger-than-blade wound diameter for bigger blood trails and easier recovery. 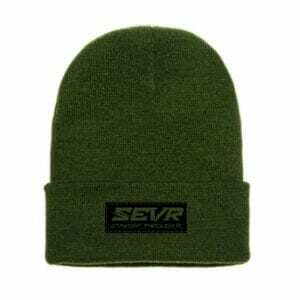 For hunting practice, SEVR’s exclusive patented Practice Lock™ keeps the blades locked and contained. Bowhunters can now practice with their actual broadheads to verify true point-of-impact without dulling blades. Lock-and-Pivot™ Blades – SEVR’s patented Lock-and-Pivot™ non-barbed blades are fully contained in the ferrule, then lock open on impact. The blades then pivot as needed to keep arrows driving straight through game even on steep quartering shots and bone impacts. This increases penetration versus regular rear-deploy non-pivoting broadheads. Practice Lock™ Practice Mode – This patented feature keeps the blades locked and contained into the ferrule for practice. Allows practicing with actual broadheads to verify true point-of-impact for maximum confidence, and without dulling blades. 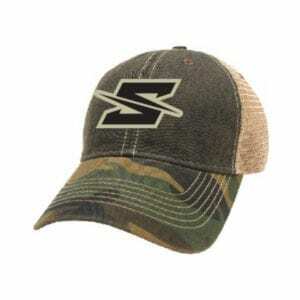 Stretch Cut™ Effect– Upon impact, SEVR’s Stretch Cut™ blade effect stretches the hide while cutting for a larger-than-blade wound diameter for bigger blood trails and easier recovery. 2.1” Stainless Steel Blades – SEVR’s 2.1” cutting diameter stainless-steel blades are fully contained in the ferrule to maintain sharpness and minimize drag for true field point accuracy. Custom Quantities – No longer are you forced to buy in 3 packs. 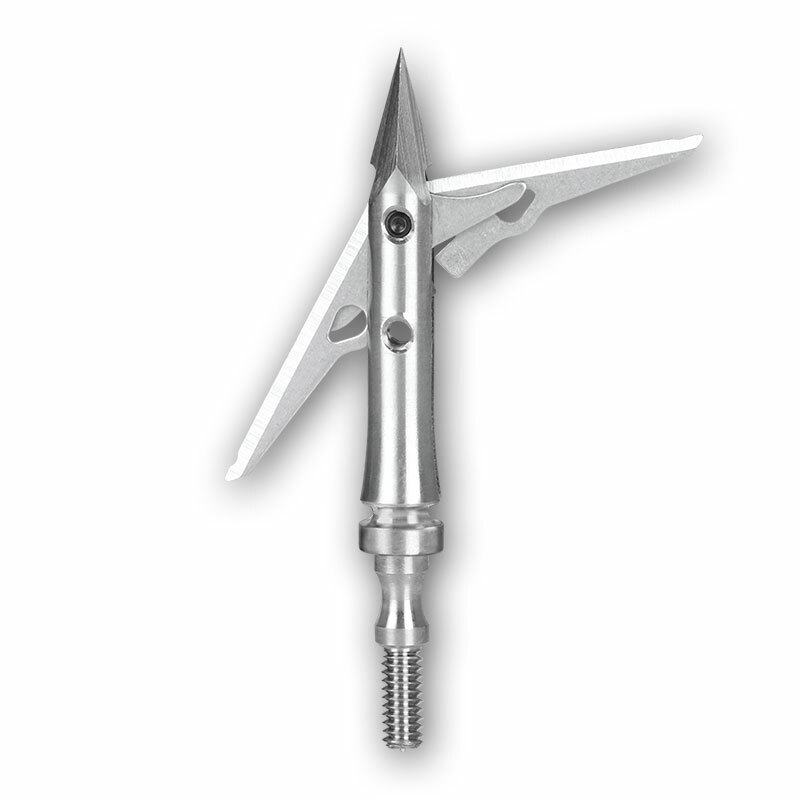 SEVR broadheads come in any custom quantity configuration. Crossbow Rated – SEVR is designed to perform with the fastest crossbows and will always remain closed in flight. Blades and other essential parts are replaceable. See our Replacement Blades and Replacement O-Ring options. Available in 100 grains for both 8-32 and Deep Six models. Standard 8-32 Broadheads will fit standard size shafts (5mm, 6mm, & 6.5mm shafts) with 8-32 thread pattern. Deep Six Broadheads will fit small diameter shafts (4mm) with the Deep Six thread pattern.